How is Superannuation split when you separate? 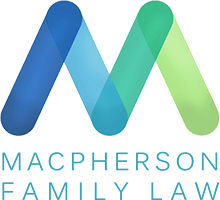 The Family Law Act provides that superannuation is classed as property and as such can be adjusted, transferred or divided between parties on separation. For example, if the Court assesses the assets should be apportioned 60% to one party, and 40% to another party, that can also occur with their superannuation. The only difference with other assets is that superannuation is an asset that is held on trust by a Superannuation Trustee and therefore the process to transfer, divide or adjust superannuation is different from the process adopted for assets such as bank accounts, cars or real estate. There are specific rules and laws specifying how superannuation can be dealt with when parties separate. If superannuation is to be “split” via agreement between the parties or by Court Order, it means that the Trustee of the member’s superannuation fund is directed to divide and transfer a portion of the member’s entitlement to their spouse. This direction is known as a “Splitting Order” and the transfer of funds is known as a “Superannuation Rollover”. Once the Superannuation Rollover has been completed, the original member is then free to deal with their remaining superannuation entitlements in accordance with their fund requirements. Some special superannuation funds (such as Defined Benefit Funds, Funds in payment or pension phase, and some Military Funds, such as DFRDB) need to be independently valued by an expert to give proper assessment of the value of the fund. It is important to bear in mind that any super split from a fund remains as super. It cannot be cashed in unless one of the usual rules of accessing super is satisfied. You should also bear in mind that there may be tax consequences that flow from splitting superannuation and therefore you should ensure you seek independent financial advice before entering into any agreement or Court Order with respect to superannuation. Don’t rely on friends, family or Google. It is essential you obtain specialist legal advice from us about your particular circumstances. Want further advice on superannuation and family law? Don’t hesitate to contact us, either by calling or completing an enquiry form.